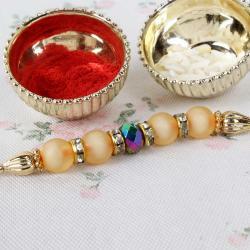 Silver Laminate Beads Rakhi, Packet of Roli Chawal. To share your love with them in the most impeccable way, an impeccable combination could only serve the purpose of gifting accurately. Get this Auspicious Silver effect beads Rakhi for your brother and attract all the good fortune into his life. 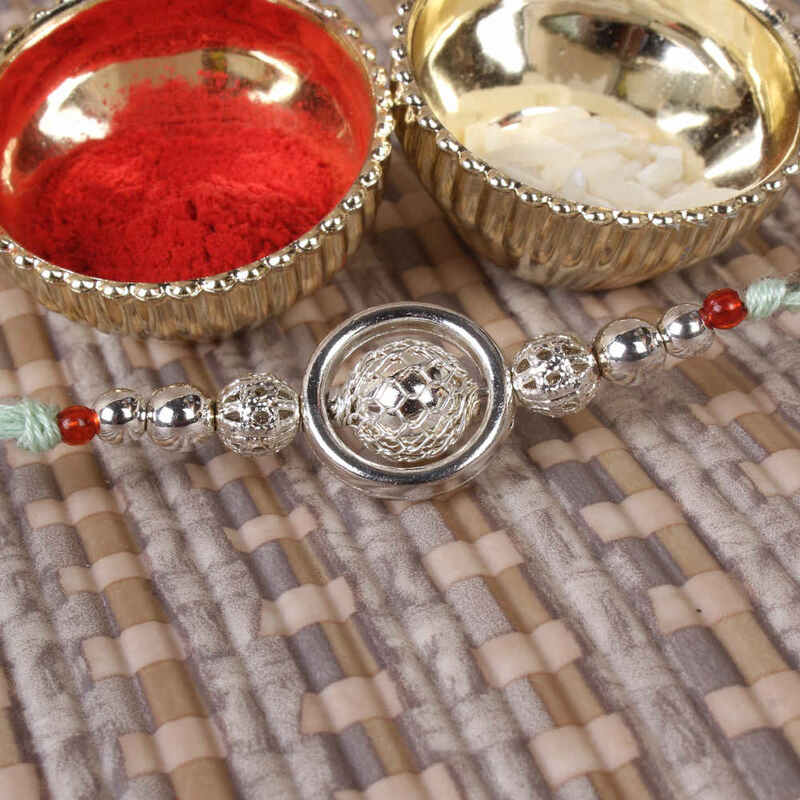 This rakhi is delivered with Pack of Roli and Chawal for tilak. 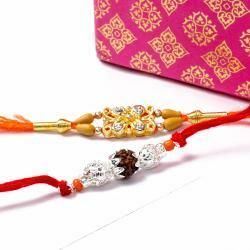 This Rakhi designed will surely attract your brother he will love to wear on his hand wrist and u will come to know in return with lovable gifts. 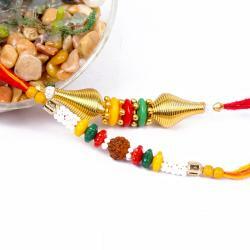 Product Includes: Silver Laminate Beads Rakhi along with Packet of Roli Chawal.